Finally I got my Typekit invite yesterday :) It’s ridiculous really when you think about how long the web has built on only a handfull of fonts.. well no longer! All the major browsers are now starting to support this embeded font thing if you provide a URL in your CSS to the font file, great news. Problem is there’s not that many fonts that you can ‘legally’ use in this way. That’s where Typekit comes in, it’s essentially web only font licencing service, with some clever stuff behind the scenes that smoothes out differences in how browsers handle type. You can sign up and use the free fonts (for free), or drop a bit of cash (up to $50 a year subscription) to get access to hundreds more. 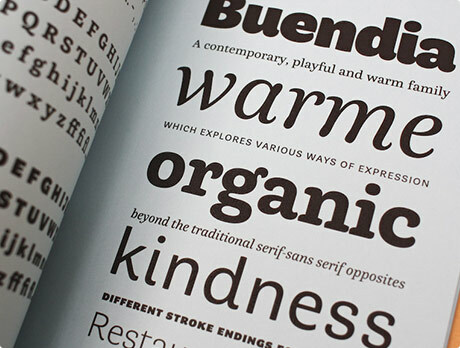 I’ve been having a little play around with it, and am currently using Buendia by César Puertas for the titles. I think it might be time for a full re-design soon though. Nov 06	This entry was posted in Design, General Web Stuff, Stuff to Buy, Typography, Useful Stuff by cookie. Bookmark the permalink. want to increase your google ranking? Just got my Typekit invite, and have to admit I’m a bit unsure. The concept is great, but the idea (as I understand it) of paying an ongoing subscription to support the fonts on a website that’s supposed to exist in perpetuity…? That seems terrifying to me, no? 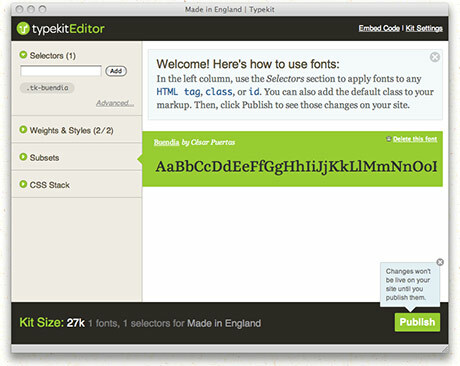 you can create your own fonts, not sure how compatible it is for the web etc but is easy enough to use…..